Great outfit from Ooh! La La! Couture, perfect style for your little girls. 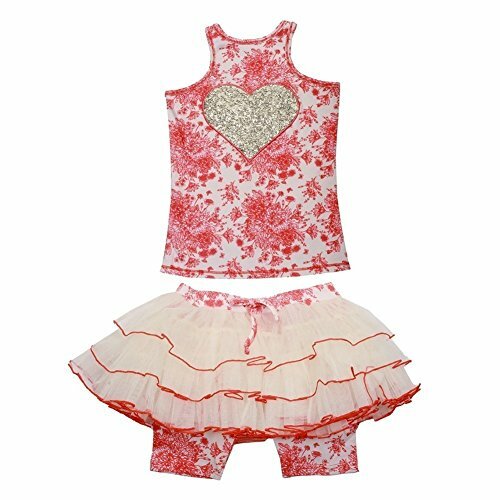 Set includes a sleeveless top with a glitter heart on the chest and a toile puffy skirt. Feature floral printed pattern. Perfect for hot days and summer parties.